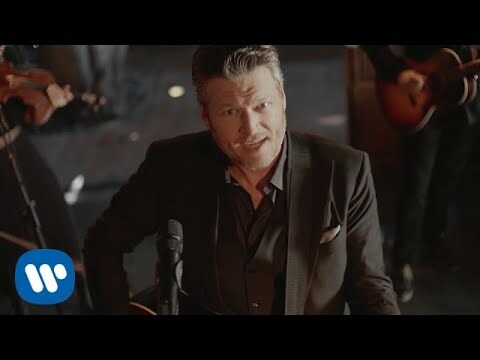 Blake Shelton have just laid claim to the next big country wedding song. Today, the country star shared his new single "I'll Name the Dogs" and an accompanying music video. It's the first offering from a follow-up to his album If I'm Honest.. The new track, which sees Shelton expressing his desire to get hitched and build a life together, is heavy on clever wordplay, anchored by the line "You name the babies and I'll name the dogs." Musically, it's in line with other mid-tempo Shelton cuts like "Honey Bee," foregoing the more common ballad format often associated with songs about getting married. The accompanying video takes the song's narrative literally, showing scenes of family members preparing for a wedding. The sentimental clip has a sweet twist ending and, of course, the folks getting hitched have a prominent canine costar. Shelton will debut the live version of the track at the Canadian Country Music Awards in Saskatoon, Saskatchewan on Sunday, September 10th. The awards will be broadcast live on CBC.